A frequent performer in solo recitals and as soloist here and abroad, Ibes made his Carnegie Hall and Kennedy Center debuts in 1990. Commenting on that debut in Washington, D.C., Joseph McLellan of the Washington Post wrote he "could not help wondering why his arrival has been delayed so long." On the occasion of his repeat performances on the East Coast the Washington Post welcomed Ibes back as "an artist of the highest quality." 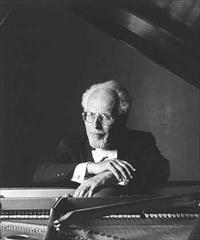 Willem Ibes has performed many of the piano concertos in the standard concerto repertoire with the St. Paul Chamber, Minneapolis Civic and Philadelphia Festival Orchestras, the Pueblo Symphony, the Manhattan Virtuosi as well as with orchestras in Europe and Asia. Besides concertizing in Europe he has, since 1990, almost yearly returned to the Far East for teaching and performing in Japan and mainland China. In addition to concerts and master classes in Beijing and Northern China he was in the summer of 2005 the honored invited soloist with the Guangxi Symphony Orchestra for the fifty-year celebration of the School of Music of Guangxi Arts College in Nanning. In November of 2008 Willem Ibes celebrated the 60th anniversary of his professional debut (as soloist in Grieg's piano concerto with the St. John's Symphony Orchestra in 1948) in a Gala concert, together with former students and friends, highlighting his discoveries in Beethoven's piano sonata Opus 101 and concluding as soloist in Beethoven's fourth piano concerto with the Northland Symphony Orchestra. During St. John's' January term he has often led groups of students in Zen study and meditation. Mr. Ibes earned a degree in philosophy from St. John's University and holds the equivalent of the Doctorate in Musical Arts.